ER chuck for the EleksMill? 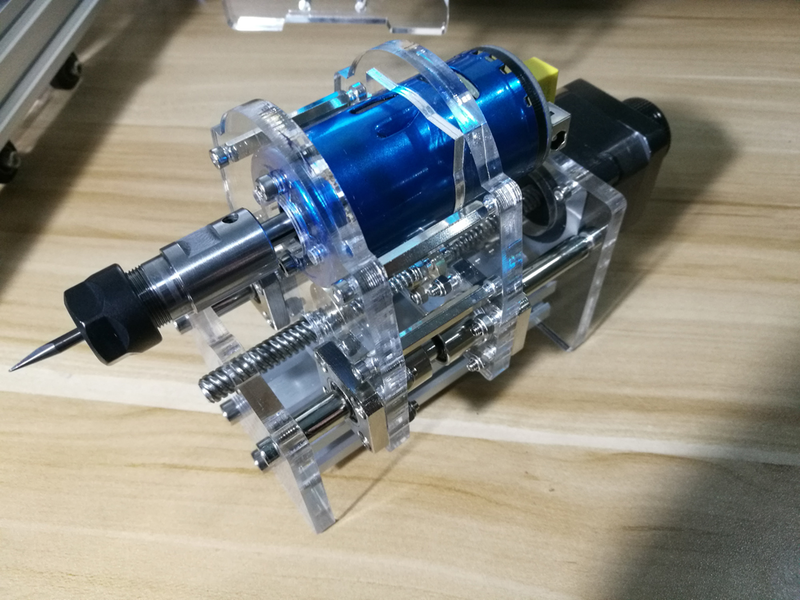 Has anyone upgraded the stock motor from the kit, and possibly also found an ER chuck that can fit the shaft of the motor? I mainly want a chuck, but curious to see people who changed motors too. Now I am all excited! @EleksMaker-Z It seems like your store hasn't had any machines for a while, what happened to the model with dispenser and other capabilities? Is the ER collet chuck available yet? The coupling that comes with the eleksmill is no good, far too loose on the motor shaft, impossible to reduce runout for pcb work. Hopefully this what is offerred. @Anatoly Yes, that's what the machine needs! I was also looking for something like this. I ended up making my own holder for a Dremel (cheaper version of a dremel) which has a 3mm chuck. It also increased the motor wattage from 40 watt to 170 watts. The only problem is that the motor speed cannot be controlled by the g code. 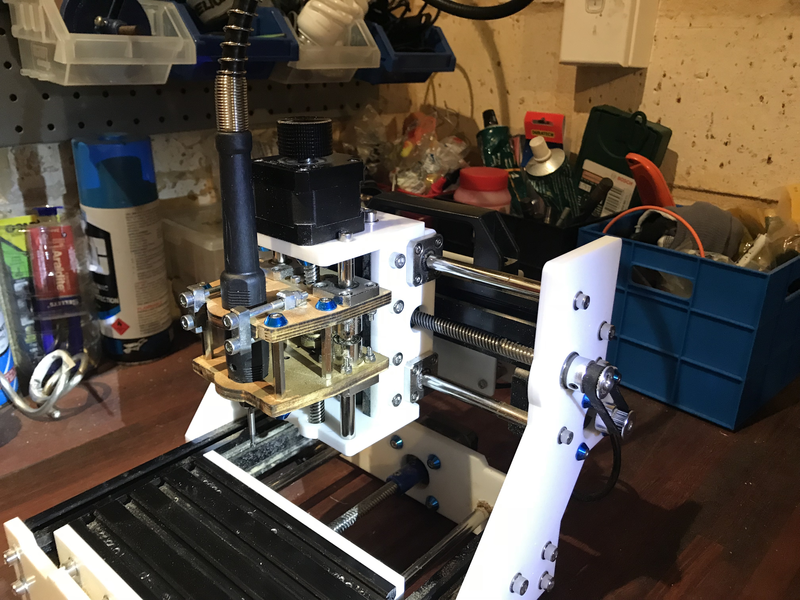 The upgraded Z axis plates simply hold the pencil attachment for the dremel on a flexible shaft., & the dremel is hung up above. It is a massive improvement for this machine! !